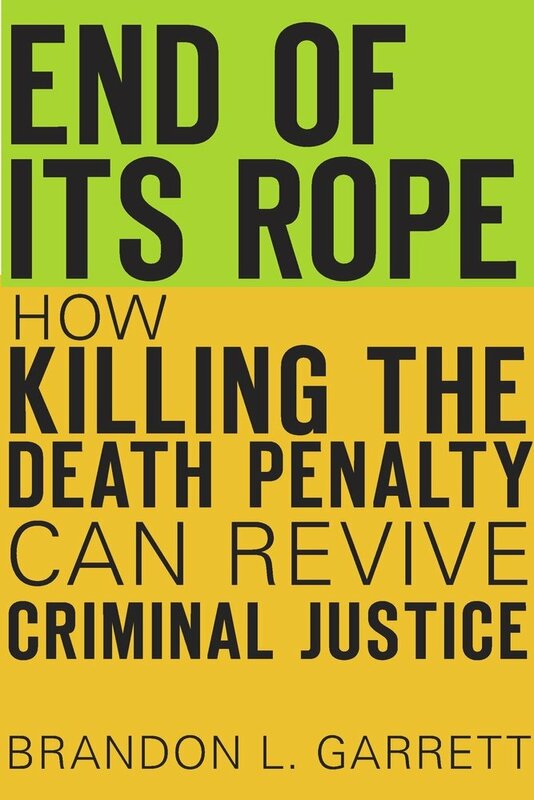 (M. Chammah, "Q & A, What’s Behind the Decline in the Death Penalty?," Marshall Project, October 3, 2017; E. Williamson, "In 'End of Its Rope,' Garrett Follows Thread of Death Penalty’s Decline," University of Virginia School of Law, News & Media, September 18, 2017.) See Books, Studies, Costs, Innocence, Life Without Parole, Murder Rates, Race, Representation, and Sentencing. Brandon Garrett is a member of the Death Penalty Information Center Board of Directors, joining the Board in September 2016.